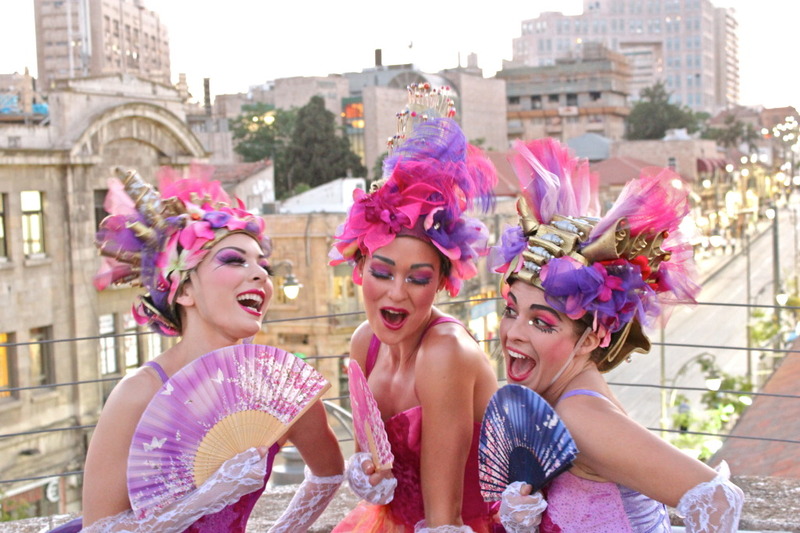 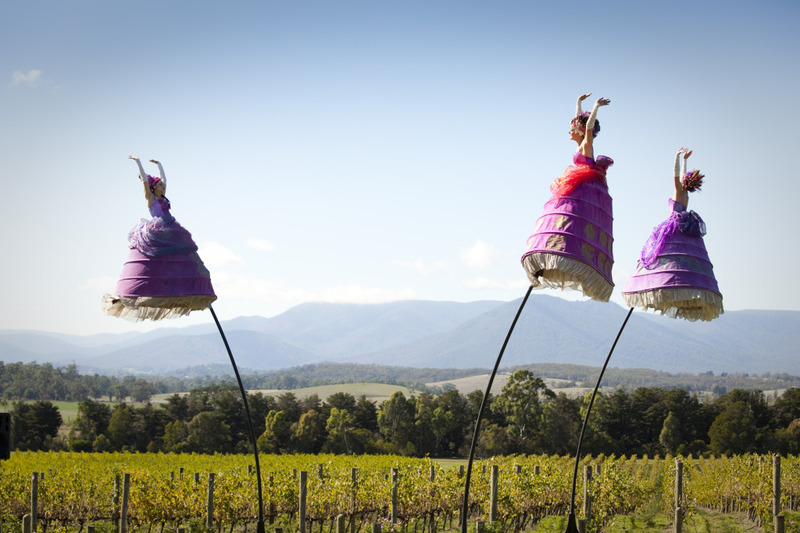 Seductive and charming, the Three Belles attired in regal, purple hoop skirts dazzle and transport the audience into a dreamlike world of period charm and frivolity. 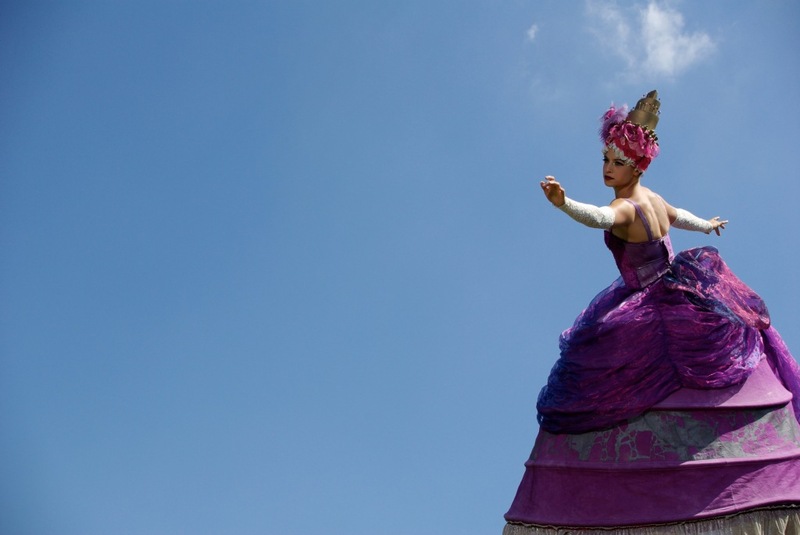 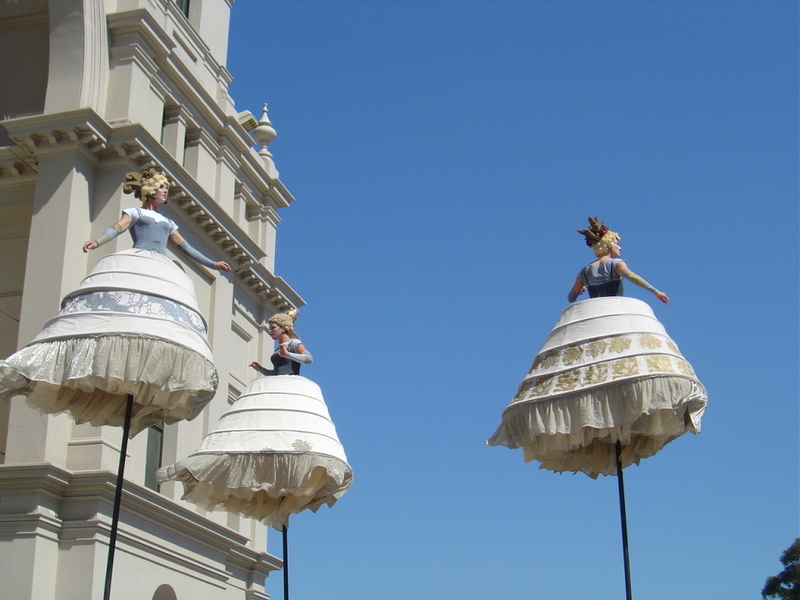 Through a whirlwind of dance and movement, they transcend past, present and future as they bewitch and enchant their admirers from atop their 14-foot sway poles. 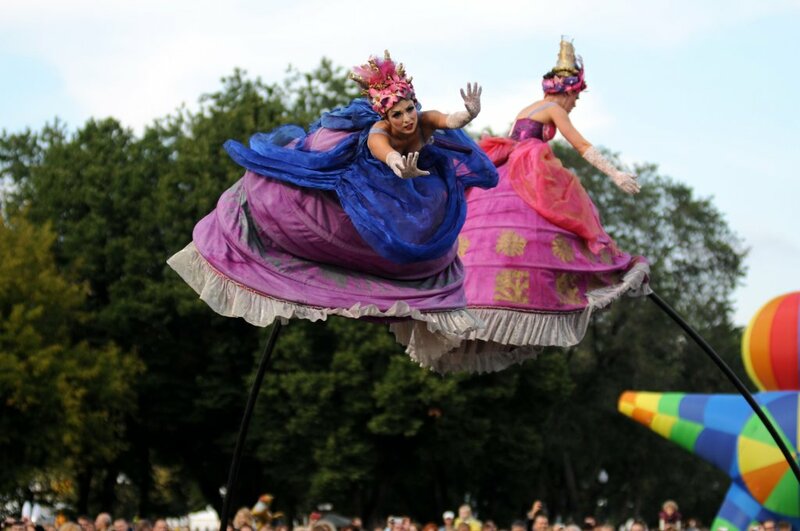 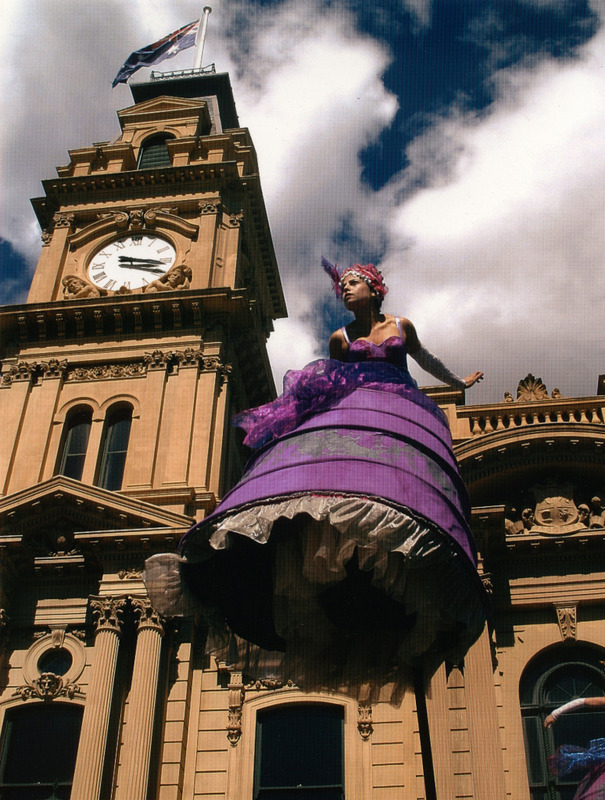 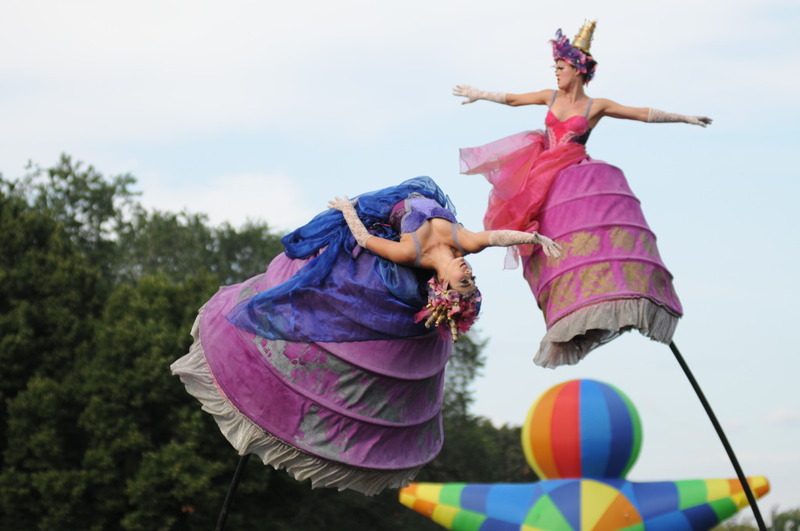 Contact us to discuss a Strange Fruit sway pole performance at your next festival or event. 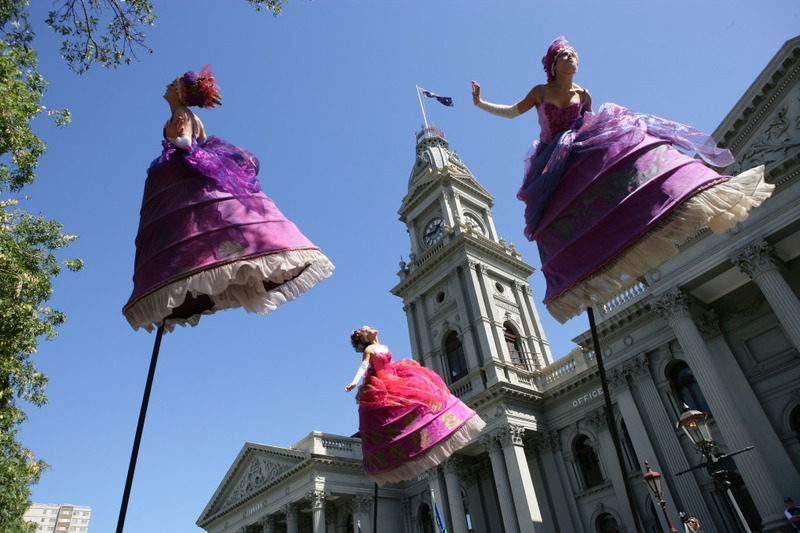 Strange Fruit is a Melbourne-based performing arts company that produces and performs a remarkable style of work that fuses theatre, dance and circus, using a unique elevated medium.